Around 90 lifts fitted in the 1960s and 70s across 50 blocks in Brighton & Hove are being modernised or replaced. many lifts in the city are very old and have become unreliable and expensive to maintain. The new lifts should mean fewer breakdowns and a more reliable service for residents. 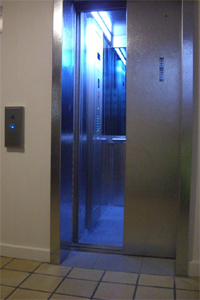 a number of blocks in the city have two lifts that serve alternate floors. Where possible, these are being replaced with lifts that serve all floors. This is much better for residents, because in the event of one lift breaking down, the other will still serve all floors. the new lifts will be faster, smoother and more environmentally friendly. where existing building conditions allow, all new lifts will be big enough to fit a mobility scooter. Lift replacement or modernisation works for 2019/20 onwards are subject to ongoing review. 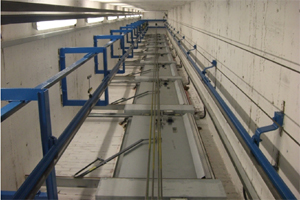 These works will be shown on this page when up to date condition surveys on lifts have been carried out and reviewed. The proposed works below are subject to change based on available funding, surveys and planning permission. Since 2011, we’ve completed replacement or major modernisation works on 63 lifts across the city. A list of properties can be found below. How will the lift service be affected while the work is carried out? Where there are two lifts in a building, the lifts will be replaced one at a time so that one lift will remain in service throughout the work. Where the old lift serves alternate floors, some floors will not be served until the first lift has been replaced. We apologise for any inconvenience and recognise this will cause hardship for residents who cannot walk up or down one flight of stairs. Our Neighbourhood Officers and Seniors Housing Scheme Managers will be available to help. If you think you, or someone you know, may need help please contact the Housing Customer Service Team. This depends on how many floors and how many lifts your block has. The average time for the whole replacement of two lifts is about 40 weeks. When the meeting for your block takes place we will let you know how long it is expected to take. Will there be noise and mess generated? The engineers have to form new door openings so that both lifts can stop at each floor. This means knocking a hole through the wall on every floor, which will cause unavoidable noise. The works will be carried out during normal working hours. The engineers will do this as quickly and efficiently as they can to minimise the disruption and impact on residents. There will also be dust and debris generated by the works but our contractors are very aware of the need to keep the site safe, clean and tidy. What happens if the only lift in service breaks down? We will treat it as an emergency and make every effort to restore the service as soon as possible. Neighbourhood officers and Seniors Housing Scheme Managers will be available to assist anyone needing help. There will be engineers on site, doing the replacement works on the new lift and they will attend to the breakdown immediately. As we take out the old lifts we are saving any useful spare parts. This puts us in a better position to repair the existing old stock and helps to reduce the time spent on waiting for replacement parts to be ordered. If you have any other queries, they can be raised at the first meeting for your block, which will happen before the lift work starts. You can also email the Property and Investment Team at P&Ienquiries@brighton-hove.gov.uk.